Making operational weapons can get you into trouble with the law; however, it is uber cool to build your personal mass destruction weapon without any violence. Many geeks out there are improvising their capacity of building such weapons that would leave the onlookers completely stumped. This weapon of mass destruction is made by using two Glock 18 pistols, which is fashioned in a way that it aims perfectly at the targets. 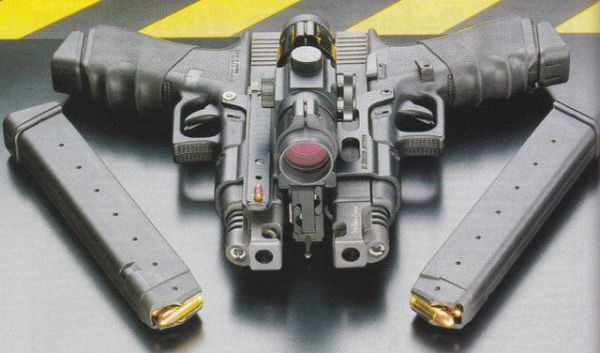 You might have seen the Double Glock Automatic gun being used in Lara Croft and Max Payne in the action sequences that gives the bad guys a tough fight. 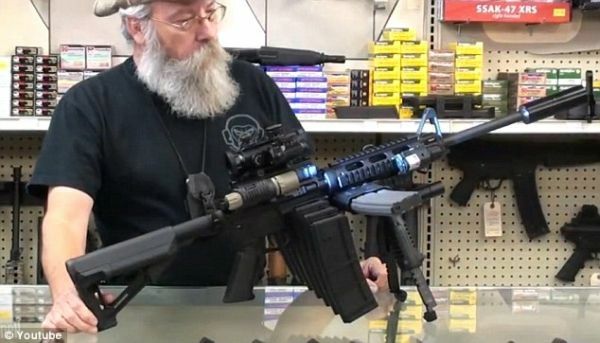 If you fear of an impending zombie apocalypse, then you ought to build yourself an Ultimate AR-15 Mall Tactical Zombie Destroyer assault rifle. Comprising of three lasers, four flashlights, three independent sighting crosshairs and 30-round magazines, this zombie gun can shoot zombies at a range from 100-300 yards. Now this weapon is not sufficient to get through a zombie apocalypse, however, the Flamethrower Pistol would be enough to provide you considerable protection as it has the ability to set things on fire. This weapon would be handy particularly if you lost your way in the forest. 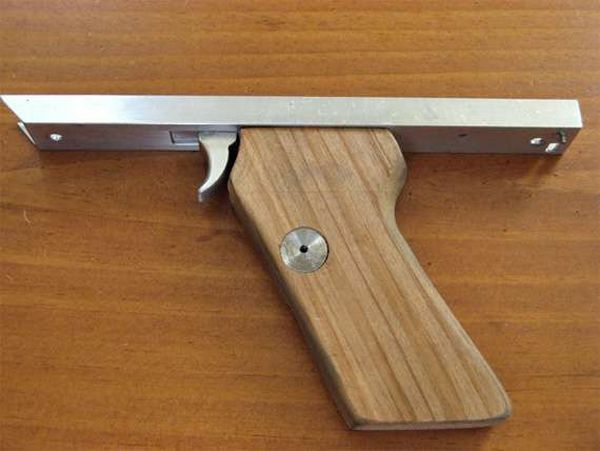 This flame pistol can be assembled at home and is a short/medium range weapon. It is powered by butane and is highly inflammable, and must therefore be used outdoors only. This gun looks very futuristic in terms of its appearance and looks like the sort that is used in science fiction movies. 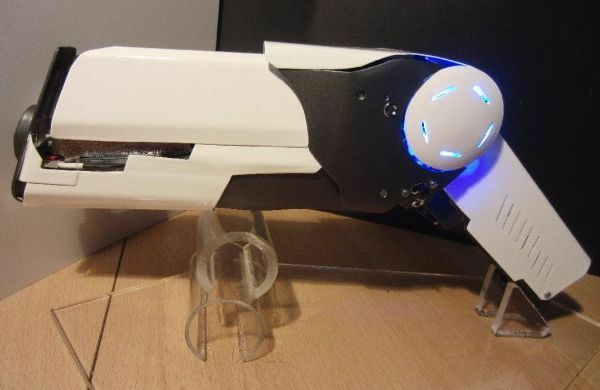 The Pulse Laser Gun was built by a geek and it took him seventy hours to assemble it by using aluminum, brass and Plexi. 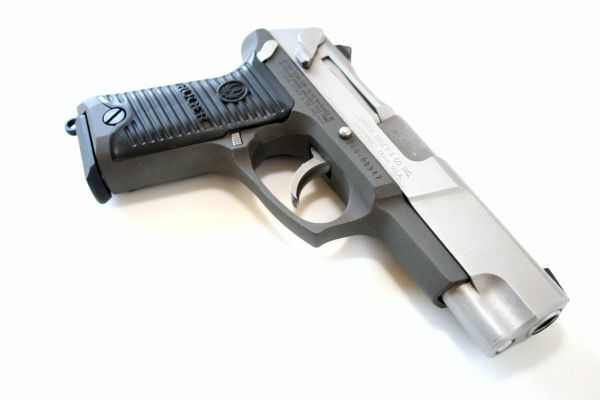 The pulse laser head of the gun projects infrared light with the capacity to cut through materials like plastic or Styrofoam. Obsessed by Assassin, then you might be equally fascinated with the deadly blade weapon that was used in this iconic game. 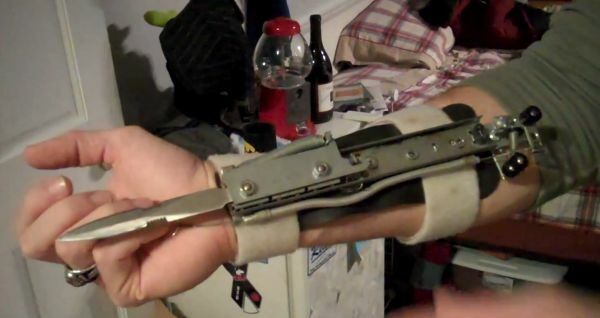 A YouTube user by the name of Angelegend has managed to assemble his own Do-it-yourself Assassin’s Creed Arm Blade, albeit with a few alterations.